Here is the complete listing of great new promos to our ‘Drum Month’. Check out the growing list below to see what deals are available. Make sure to not miss out on all these exclusive specials by visiting this page often. 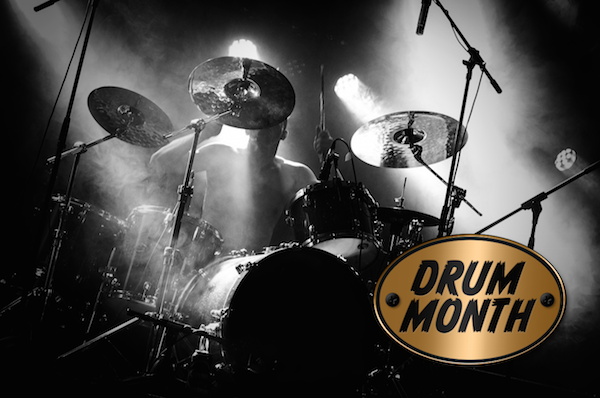 Be sure to check on all the upcoming DRUM MONTH promos here as they arrive. To have a great track these days, your drums sounds have to be the best they can possibly be. We have contacted all our friends at various manufacturers to ask if they want to highlight their latest drum-related products so you can try them out and then pick them up at a great ‘Drum Month’ price. This entry was posted in DontCrack, Event, Plug-ins, Promotions, Sounds, Virtual Instruments and tagged AAS, Acousticsamples, AIR Music Tech, Big Bang Cinematic Percussion, Big Bang Universal Drums, Brushed Beats, Chocolate Audio, Chocolate Sticks, Chromaphone 2, Drum MIDI packs, Drum Month, Drum Particles Collection For Kontakt, Drum Tools, EZKeys MIDI Packs, EZmix Packs, Nomad Factory, SONiVOX, Sound Radix Drum Leveler, StarDrums, Strike 2, Toontrack, Transfuser 2, Urban Drums, Zynaptiq UNMIX::DRUMS. Bookmark the permalink.